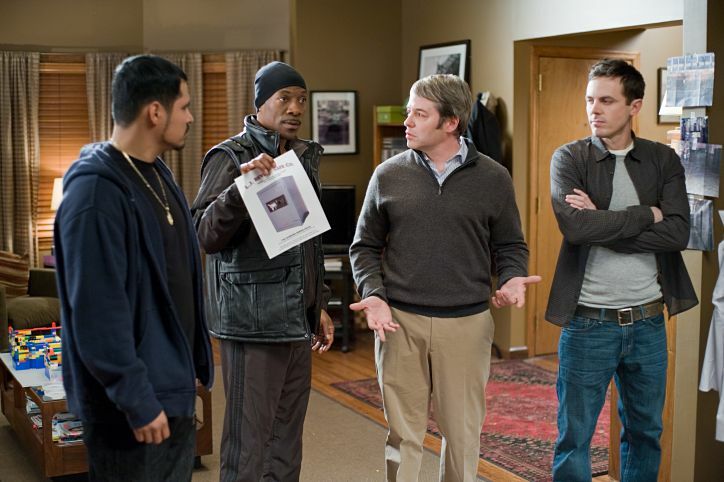 There is nothing too exceptional about director Brett Ratner's "Tower Heist" other than it hopefully marks the return of "funny" Eddie Murphy. This is a slick, Hollywood comedy to a T but it works almost perfectly and serves every purpose it sets out to fulfill. I say almost because to be honest, I almost felt slightly shafted by the publicity for the film. Sure, I knew this was a Ben Stiller vehicle and I don't mind that, I enjoy Stiller's work (even more so when he is behind the camera as well) but this promised a double lead, a comic dream team of he and Murphy. Sadly, Murphy doesn't really show up until about half an hour in, but once he does hit the screen he is on fire and we are more than ready to welcome him back with open arms. I am not overly irritated by being somewhat misled though and I'm surely not going to let it ruin my overall experience, because for as standard as the movie feels, it is good, solid fun. Stiller does his usual self and with a great supporting cast including Mathew Broderick, Casey Affleck, a pair of scene stealer's in Michael Pena (again) and Gabourey Sidibe, and finally Alan Alda there is enough going on here to make us forgive its flaws and enjoy the quick, simple, entertaining ride it provides. If you've seen the trailer, hell, if you've read the title you know what probably happens in the film but if not it basically boils down to this: Josh Kovac (Stiller) runs the Trump-esque tower in downtown New York and he runs a very tight shift. Stiller drops a heavy accent and does his best to make the character relatable. Kovac respects all of his much richer employers and meets all of their needs while holding all of his employees to that same expectation. This introduces us to Affleck's Charlie, the realist who doesn't take his job nearly as seriously as Josh would like him too but is married to his sister and they are expecting a child, so Josh cuts him slack. There is the newly hired elevator operator Enrique (Pena) who is just happy to not be working at the BK anymore and is seriously just along for the ride. Odessa the maid (Sidibe) happens to be good with safe-breaking and Mr. Fitzhugh (Broderick) has lost his high-paying job at Merill Lynch and is being evicted from the tower. These associations are little to nothing until Arthur Shaw (Alda), the penthouse billionaire at the tower, steals their retirement funds just like an ole' wall street swindler does. This leads to why these stand-up guys decide its time to break a few laws and get back what is rightfully theirs. 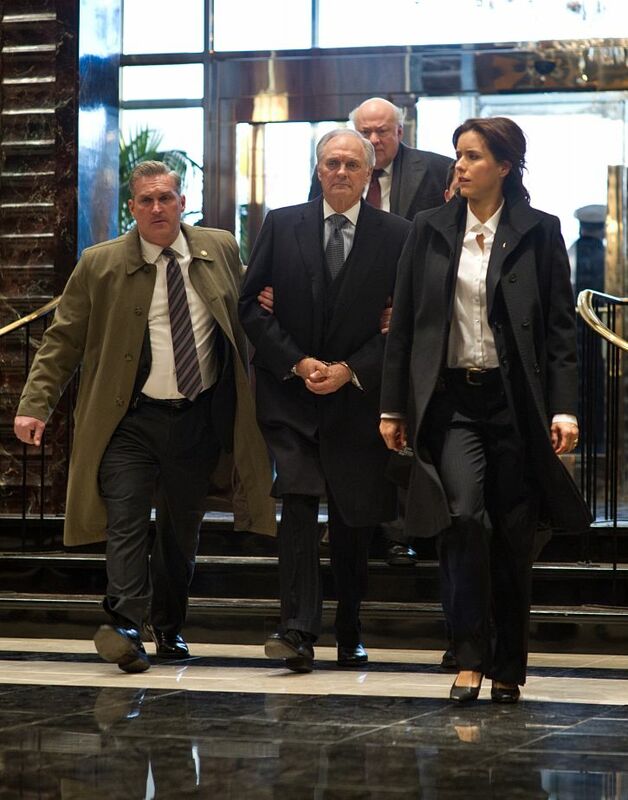 The fact none of them has any idea where to begin when planning a robbery cues the entrance of Murphy's Slide. A fast-talking thief who uses his persona to take advantage of the white guys plan to grab $20 million. 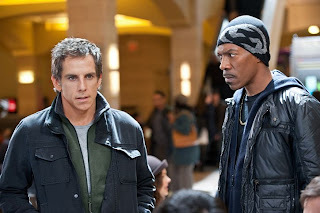 Although the legacy of "Tower Heist" will likely not be the wildly funny farce that everyone loved, it is a solid piece of escapism that looks great. It offers little in terms of lessons or discoveries we might take away from it but does in fact actually serve as somewhat of a timely commentary that tries with all its might to relate to the little people in the audience while making the crime being committed on screen feel as ethically and morally upstanding as it possibly could. I get it, and it does try but it is just hard to see either Stiller or Murphy as "one of us". Murphy more so, but it is to him the movie owes its pulse. Thus, as I said earlier, the real problem I have with the overall film is not its light caper comedy premise that plays like a less credible "Oceans" film, but the fact that it doesn't push Murphy and his classic tangents to the forefront almost feels like a tease. The highlight of the film not even being watching he and Stiller go back and forth, but instead it is the hilarity that was glimpsed in the trailer between he and Sibide that lights up the screen the most. By the time the film reaches the point where it is actually ready to start the "tower heist" we couldn't feel more ready for it, excited to see our rag tag team of misguided crooks try their hand at it. The nice thing about the script is it never stops challenging our characters either. True, it might be a tad conventional and it will end on a nice note, but that doesn't mean the ride is any less predictable. Throwing Slide's selfish side in as well as the twist of where the money was really located made me smile, if not because it was trying but at least for the fact it didn't feel lazy. Though director Ratner is criticized for making crap movies that are all style and no substance; one has to give it to the guy for making pure escapist cinema that fizzles with fun. 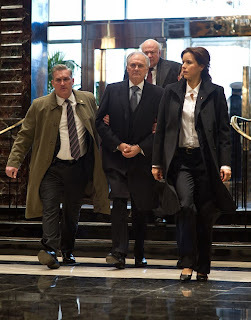 Allowing Murphy to play like Chris Tucker in his "Rush Hour" films was the best thing he could have done and tapping Tea Leoni to play the take no crap FBI agent investigating Shaw and forming the obligatory love story with Kovac at least allows it to feel genuine and as care free as the movie actually is. Breaking it down to its basic elements though, "Tower Heist" is about the average joe's we are watching overcome the man and so it is the characterization that matters. And while Affleck and Stiller have a few funny exchanges, it is the small moments in which Murphy orchestrates the conversations and the situations that will stick with you after leaving this engaging but ultimately forgettable piece of fluff. I sincerely hope that this is Murphy's re-introduction to the edgier material that made him a household name in the first place. it is easily the funniest thing he has done in years and for that alone, you should go see this movie.